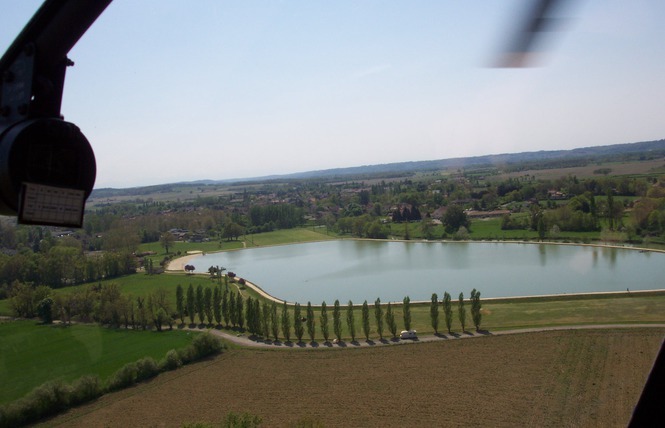 Lakes Gascony Gers near our Gite: One of the nearest is located in a beautiful valley in the middle of a large forest, Aignan lake is an ideal place to relax, play or just watch the world go by! This lake has walking, horse riding and fishing all year round. In summer (July and August) other leisure activities include volleyball, swimming, water-slides and sunbathing on the sandy beach. There are extensive walks and tracks around the lake or in the surrounding forest on marked trails. 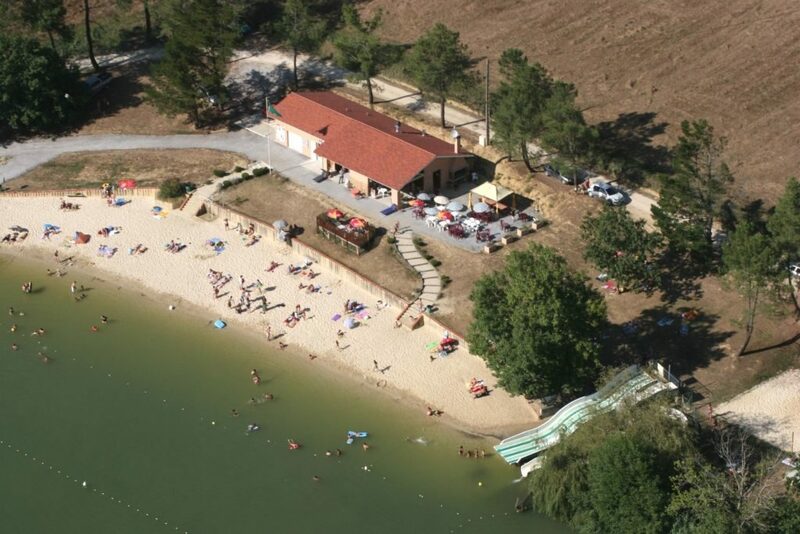 Picnic tables and a popular refreshment bar make Aignan lake a really popular destination for holiday makers and locals on hot summer days. In the lovely Adour valley in the south of Gers or Gascony, the village of Plaisance has a 7-hectare lake available to the public. Although swimming is not allowed, there are many other leisure activities around the lake. These include Swin-Golf, canoeing, kayaking, pedalos, tennis, cycling and mountain biking. Fishing enthusiasts will be able to test their skills with the many varieties of fish within the lake. There are roach, pike, perch, perch, carp, tench and black-bass. A refreshment bar, open in the summer months and a picnic area are also available. These lakes Gascony Gers are really lovely places to spend the day. The region of Bas-Armagnac within Gers has a long overlooked heritage in the multitude of small lakes which are a significant part of wetlands in the Midi-Pyrénées region. These lakes are sometimes very old, usually with a notable biodiversity and interesting background stories stemming from their multiple uses throughout history. These lakes are mainly concentrated in the Gers “Sables fauves” and “Bas-Armagnac”, where from the Middle Ages until the 18th century, they had an important role as a source of fish and energy in the form of the many water mills. NB “Sables fauves” (literally tawny sands) describe marine deposits from the Miocene Era in the Aquitaine basin. They are especially valued for wine making and contribute to the quality of wines and Armagnac from the Gers or Gascony region.